Chris Shilling sat down for a Startup Grind OKC fireside chat with Alex Lobodiak about his experiences learning about entrepreneurship at OU, starting a pharma company, attending HBS, and returning to Oklahoma time and time again for his ventures over the years. Startup Grind Local features incredible talks with entrepreneurs from Startup Grind’s worldwide network. Startup Grind is a global startup community designed to educate, inspire, and connect entrepreneurs. More than a bookstore, Commonplace Books in Midtown OKC is about community, hospitality, and people. In this Uncovering Oklahoma interview, Benjamin Nockels and Chris Castro share what visitors can expect at this community gathering space with a bookstore and kitchen. 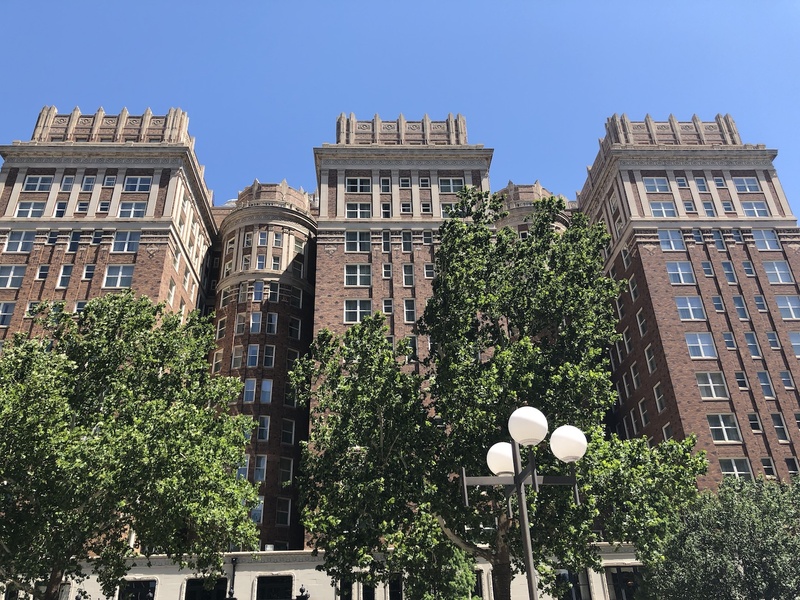 Sam Saxton gathers interviews from people in Downtown Oklahoma City about the famous Skirvin Hotel, where everyone has their own opinion about whether it is haunted. Geoff DeRoot is convinced it hosts numerous ghosts and claims to have a contact with firsthand encounters. As Sam digs for the truth, there seems to be more questions than answers. Tales Unveiled is a production of The Show Starts Now Studios and is produced by Dennis Spielman. The voice of Sam Saxton is Dennis Spielman. The voice of Professor Geoff DeRoot is Jeff Provine. Featuring Paul Evens as Kyle, and Undrell Maholmes as Maxwell. Plus the voices of Eric, Emily, and Ari as themselves for the on the street interviews. CHAOS is a maker space that encourages adults and children to Free Play. 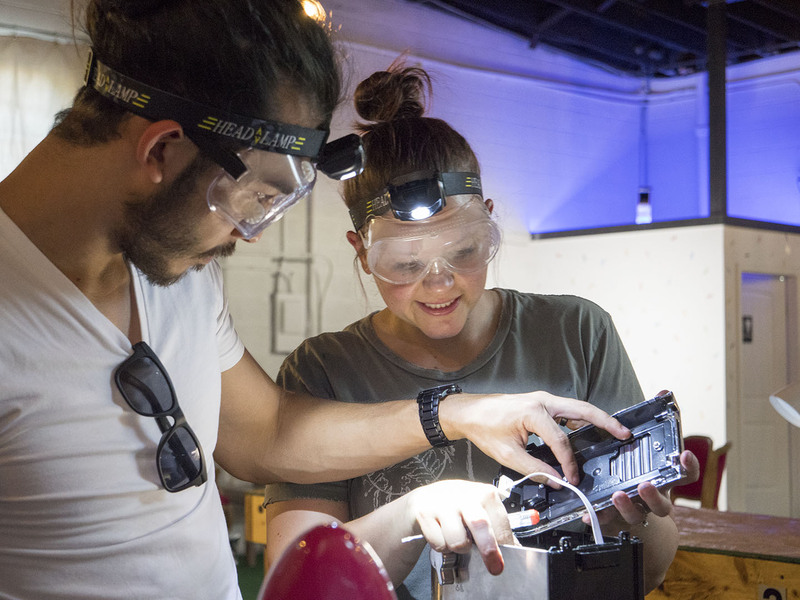 Once signed in you’ll get to choose from an array of recycled electronics to take apart or put back together; while sitting at the Explore Bar you can just tinker. There’s also an area for building stuff with recycled materials where you’ll be able to create whatever. In addition to being able to create whatever, visitors can destroy whatever in CHAOS’ outdoor area. CHAOS is located in the Iron Works District next to Oklahoma City’s Midtown District. A reporter for TSSN, Sam Saxton, is among several guests invited to tour Oklahoma City’s Overholser Mansion. As Sam records the tour for his new podcast series exploring urban legends, he has a chance meeting with Professor Geoff DeRoot, who researches the paranormal history of Oklahoma. When the two get separated from the tour group, they begin to question the whether or not the mansion is haunted. Tales Unveiled is The Show Starts Now Studios’s first podcast series and is produced by Dennis Spielman. The voice of Sam Saxton is Dennis Spielman. The voice of Professor Geoff DeRoot is Jeff Provine. Lisa Escalon plays as herself. The voice of Mrs. Overholser is Lynn Keller. Featuring music from John McGaha. The Overholser Mansion is a real place you can visit for yourself in Oklahoma City. For information about tours visit OverholserMansion.org. 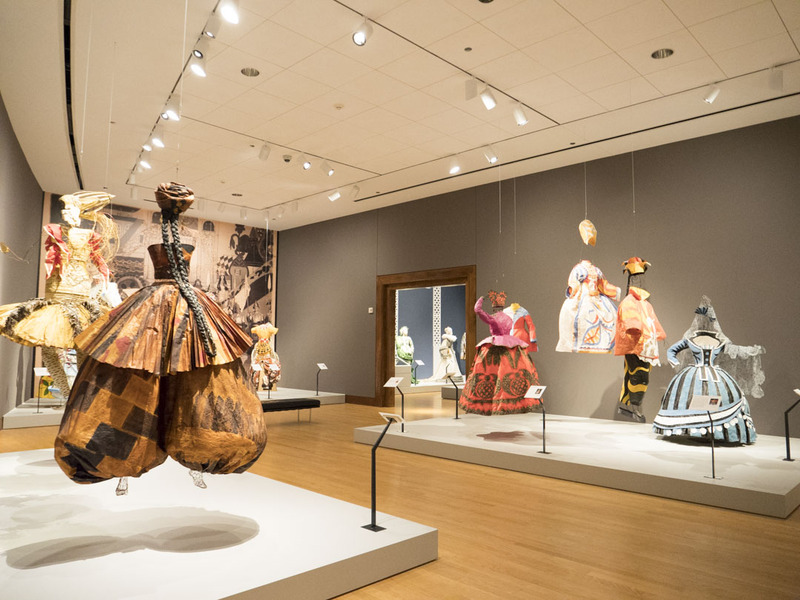 “Isabelle de Borchgrave: Fashioning Art from Paper” at the Oklahoma City Museum of Art features 78 life-size, trompe l’œil paper costumes by Belgian artist Isabelle de Borchgrave encompassing over 500 years of fashion history. The museum is the exclusive regional venue for the exhibition. de Borchgrave (born 1946) is a prominent Belgian artist, painter and sculptor, best known for her paper costumes. 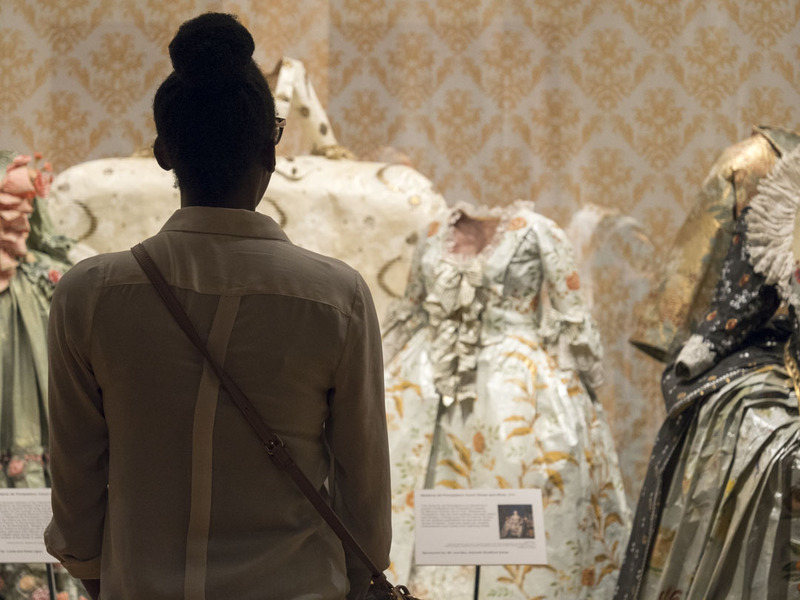 Programming and events throughout the summer will be inspired by “Fashioning Art from Paper” including classes, camps, workshops, public tours and events. The exhibition will run until September 9, 2018. 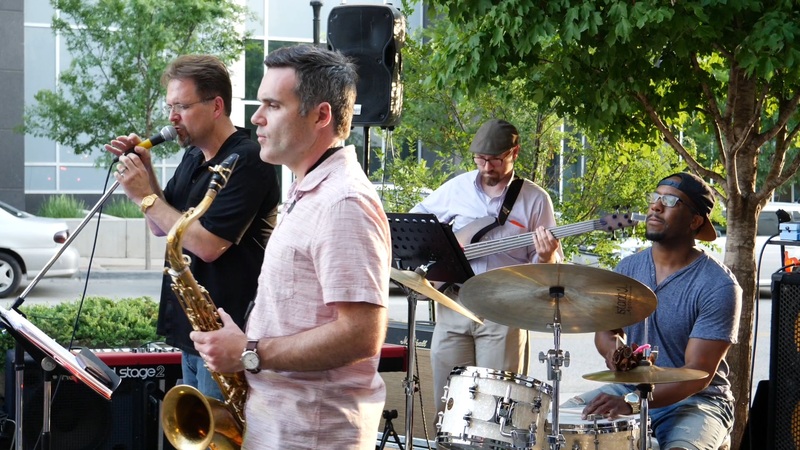 The Oklahoma City Museum of Art’s Third Thursdays program features live music, a special menu at the Museum Cafe, full bar on the Roof Terrace, and access to the Museum’s galleries. Admission is just $5; food and libations are available at an additional cost. This year, the Museum’s Roof Terrace will be open to the public only during Third Thursday events. The Museum will continue extended hours and $5 admission every Thursday, but special programming and the opening of the Roof Terrace will occur only on the third Thursday of the month. Admission to the Museum on Thursday evenings is $5, and no other discounts apply. Admission for Museum members is always free. More information about Third Thursdays, including how to purchase tickets, can be found on the Museum’s website, okcmoa.com. In this music session, Dennis Spielman visited indie/alternative musician, Sophia Massad, in the Plaza District. 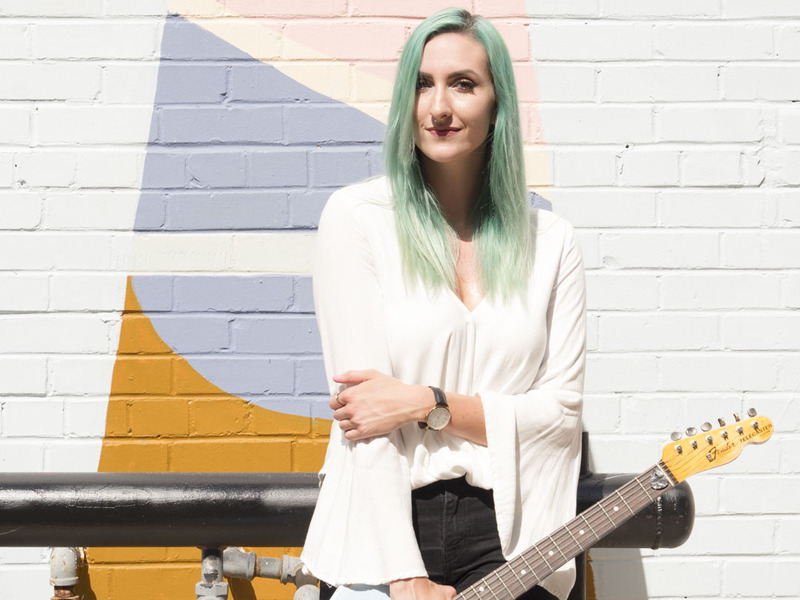 In this video, Sophia shares the history of her musical journey, what inspires her, and talks about her newest single, Alone at Night, which she also performs for Uncovering Oklahoma. “Alone at Night” will be available everywhere on July 6th, 2018. The song is Massad’s second release in the past three months. “Insecurities” released in early May, having been met with such a warm reception, getting articles in multiples magazines, newspapers, blogs, and radio play, Massad’s fan base began to thrive. With “Alone at Night” being fully written and engineered by Sophia Massad herself, there is plenty of excitement for the new single release. There will be a single release party on July 6th at VZD’s with Bowsley and Johnny Manchild and the Poor Bastards. The single features Tristan Todd from Pax on lead guitar, Tyler Sexton with a second guitar part, Chris Anderson on bass, Brock Wilson on drums, and Garrison Brown on the horns, and the song was mixed and mastered by Dustin Ragland. 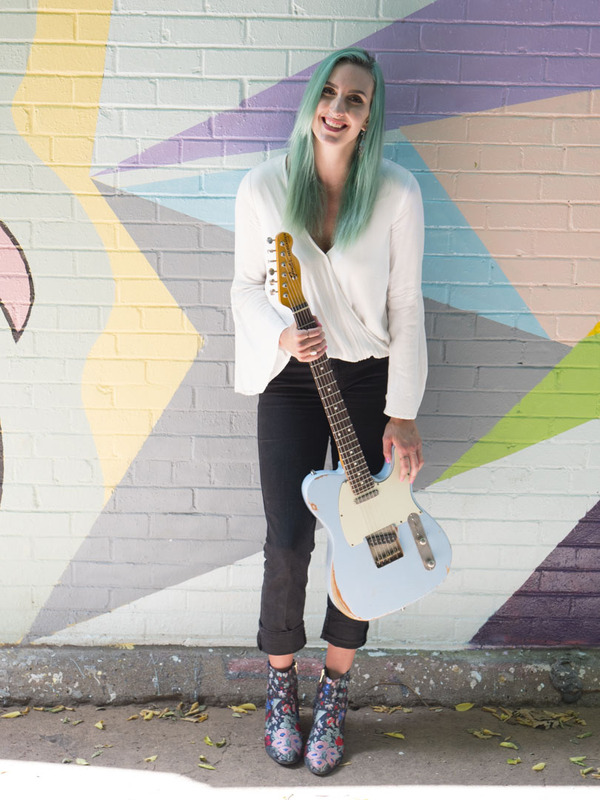 Massad released her first album in 2014, joined The So Help Me’s in 2017, and most recently started this passion project with the mission to create and share her rawest music. Her style, inspired by the Alabama Shakes and Amy Winehouse, is both formidable and poetically honest. Sophia Massad and her band will be playing at Heard on Hurd in Edmond on July 21st and are preparing to announce tour dates. Wheelhouse Pizza Kitchen is Oklahoma City’s newest by-the-slice pizzeria with a dedication to speed of service and quality fare. Featuring made-from-scratch ingredients and an upbeat atmosphere, Wheelhouse delivers the family-friendly fun and delicious food. In this interview, Managing Partner, Michael Jones, talks about Wheelhouse Pizza Kitchen and how they combine the quality and service of a traditional restaurant with the speed of to-go ordering. From pizza-by-the-slice and boneless and bone-in wings, to sandwiches and salads, there’s something for everyone on the menu. Their menu features the “daily slice,” giving you the option to choose from one of six daily slices, starters, salads, 20” specialty and build your own pizzas, sandwiches and desserts. Plus, they are pet-friendly with hookups for dogs on their outdoor patio. For photos, check out Uncovering Oklahoma’s story. Deep Deuce Sessions is Oklahoma City’s monthly live music artwalk in Downtown OKC’s most historic music district. Walk, dine, drink, and listen your way across venues along 2nd and 3rd streets in the Deep Deuce District to experience hip-hop, singer-songwriter, jazz, rock, and pop artists showcased throughout the evening. Held on every last Saturday of the month, you can find music at venues such as Urban Jonnies, Aloft Hotel, [Artspace] at Untitled, and outside the shipping containers next to Anchor Down, Bella Kitchen, and Wheeze The Juice. All doors are open for free to the listening public. In a past video to show that the Deep Deuce District is more than apartments, Uncovering Oklahoma teamed up Localites OKC and Visit OKC on a pub crawl of the Deep Deuce District. In this crawl, we visited Urban Johnnies, Anchor Down, Aloft Hotel’s WXYZ Bar, Stag Lounge, and the Deep Deuce Grill. Not only did we learn about each place, but we got history lessons about cocktails and the district. With her works, Chiyoko Myose’s Sojourning expresses her experiences of living in a foreign country. Myose considers herself as a sojourner, a person who stays in one place temporarily, like a traveler. Her works explore cultural, social, philosophical and spiritual themes. Four installation pieces will have a common theme of “relationship,” from relationships between individuals to those between countries. 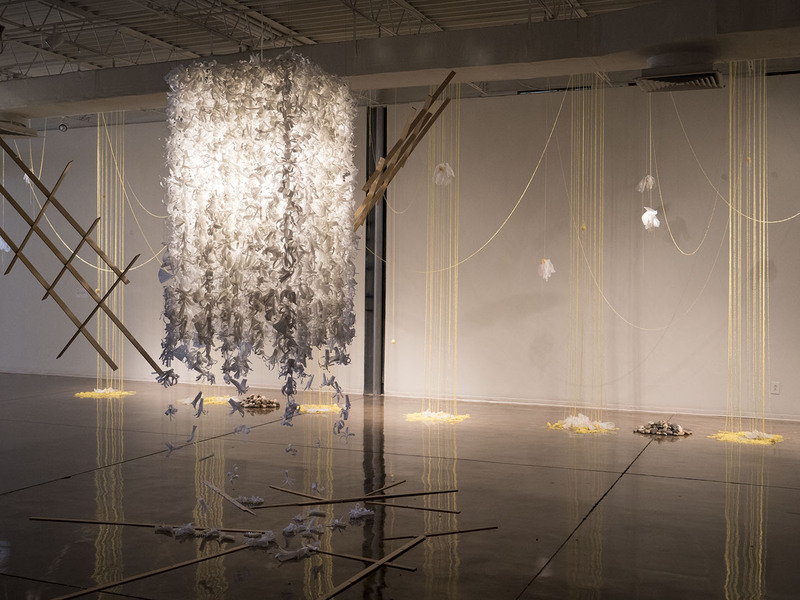 The exhibition at Oklahoma Contemporary also includes a piece that invites members of the community to contribute to the artwork by tying knots with threads. Each new knot is a reminder that we are all connected and we should treasure that connection. 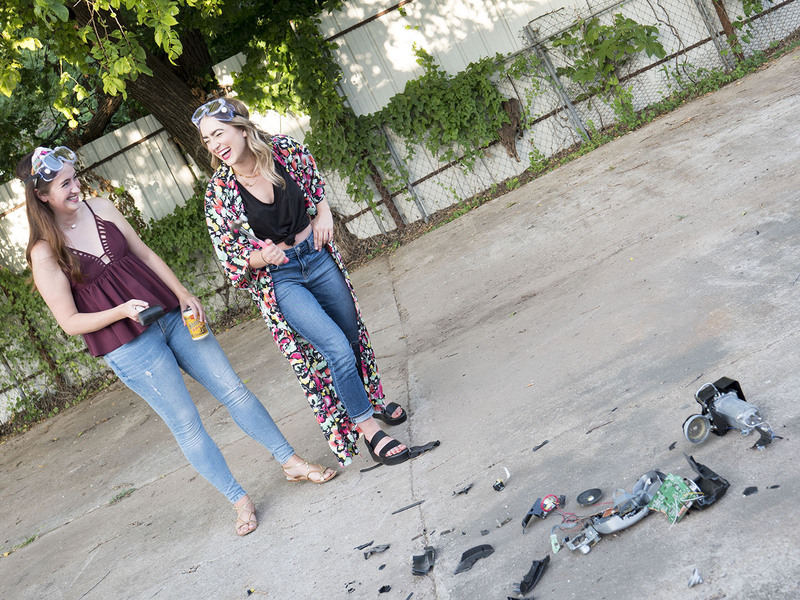 The exhibition will feature a new work, created especially for Oklahoma Contemporary. 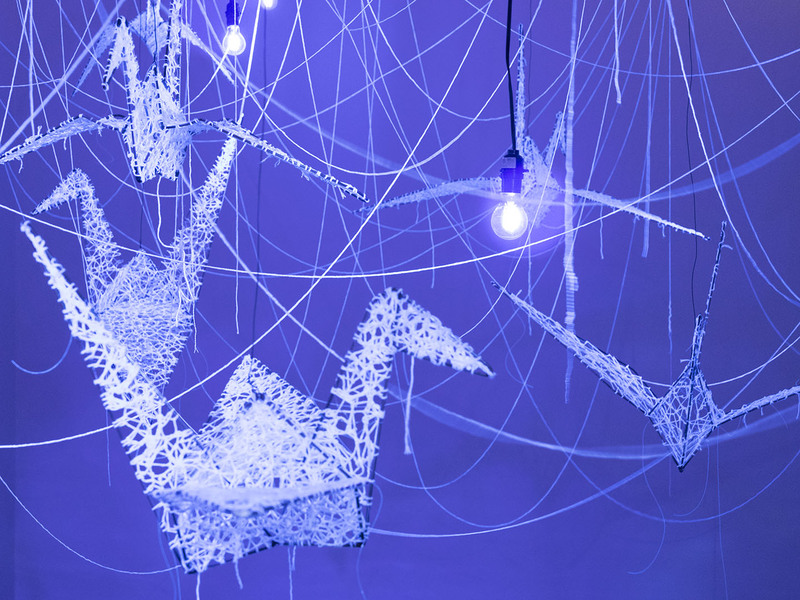 Chiyoko Myose: Sojourning will be on display from June 2 through August 11, 2018.